Cut the grease and extra calories of deep fried donuts by baking them instead. Pan measures; 13" x 8.5"/33cm x 21.5cm. 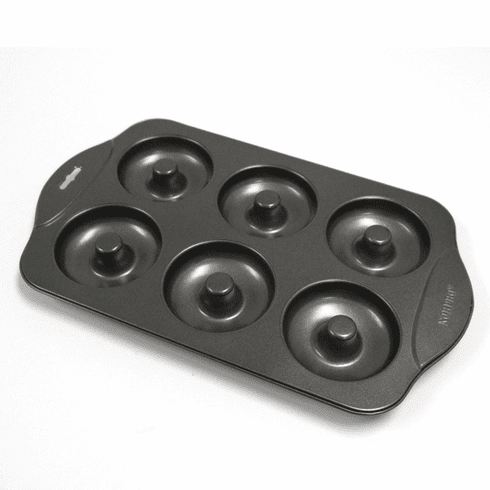 Donut size; 3.5"/9cm diameter by 1"/2.5cm deep and makes 6 standard size donuts at a time. Recipe and instructions included. Hand washing recommended.